The 2019 Dog Lovers Show is 30% bigger and returns on Friday 3 to Sunday 5 May. Discounted tickets can be purchased online now but these are limited and tickets cannot be guaranteed on the door. Just click on the red BUY TICKETS button to fetch your tickets now! Click Here To Fetch Discount Tickets Now! 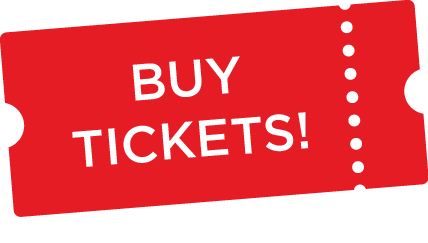 Tickets to the 2019 Melbourne Dog Lovers Show are ON-SALE NOW – just click on the red BUY TICKETS button to fetch your tickets! Validation of carers cards occur at the door. Visitors must purchase a ticket, then carers can enter free of charge when a carers card is show. In 2019, the same practice occurs with anyone holding a NDIS card requiring an Auslan interpreter. Please note that transaction and credit card charges will be added to the published ticket prices above. ‘Like’ us on Facebook, ‘Follow’ us on Instagram & Twitter and sign up to our mailing list on our home page for regular updates when tickets are on sale! Unfortunately, as this is an indoor event and due to safety and hygiene reasons (Dogs and humans! 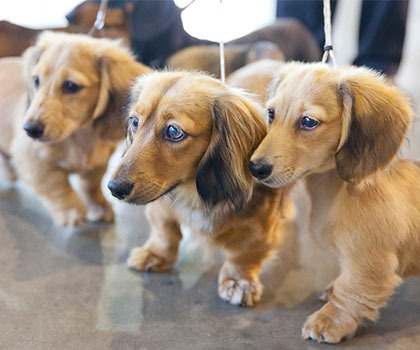 ), visitors are not allowed to bring their Dogs to the show. Assistance Dogs however are welcome and we do accept Companion Cards for carers. Companion card holders can enter free of charge, but the person under your care must purchase a ticket. Click here to view details on our Dog Welfare & Safety policy and here for our policy on bringing Dogs to the event. All visitors can enter the Show via the main entry of the Royal Exhibition Building located just north of Melbourne’s CBD and in between the Melbourne Museum and Carlton Gardens. Pre-purchased ticket holders can enter via the Nicholson Street entry or the Northern entry opposite the Melbourne Museum. Click here for parking options and special discount offers for pre-bookings.